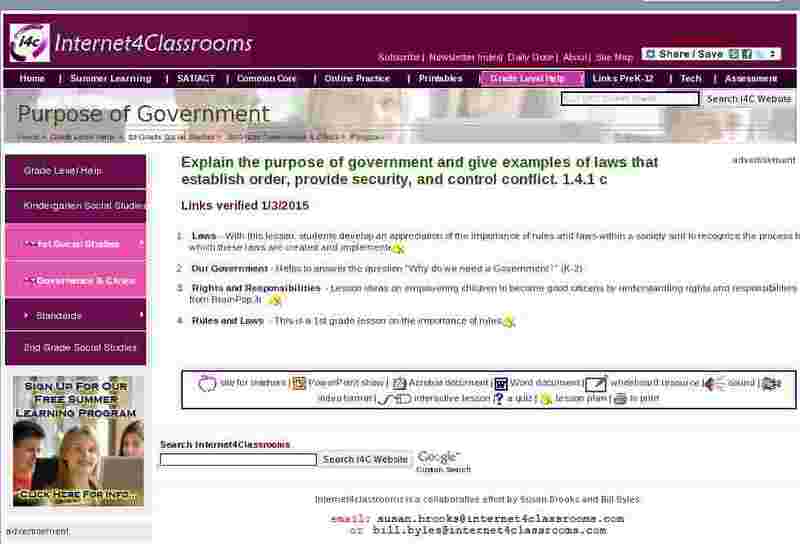 Laws - With this lesson, students develop an appreciation of the importance of rules and laws within a society and to recognize the process by which these laws are created and implemented. Rights and Responsibilities - Lesson ideas on empowering children to become good citizens by understanding rights and responsibilities from BrainPop,Jr. Rules and Laws - This is a 1st grade lesson on the importance of rules.